The Land of Nod bed is your one-way ticket to creating a similar look and I LOVE it. 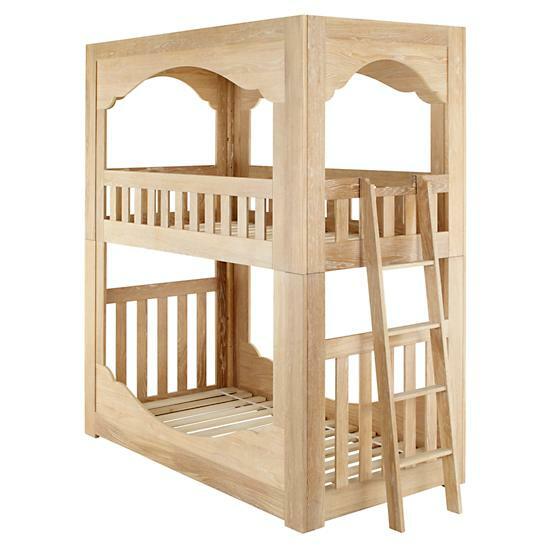 Although I get the allure of a bunk bed for space and general child merriment, can't say I often think it's chic. But I'm into this. The bunk bed would also look bananas painted the same color of the wall to create a built-in look.